« Advocating for Human Rights in Cambodia: Is the UN’s Universal Periodic Review Effective? 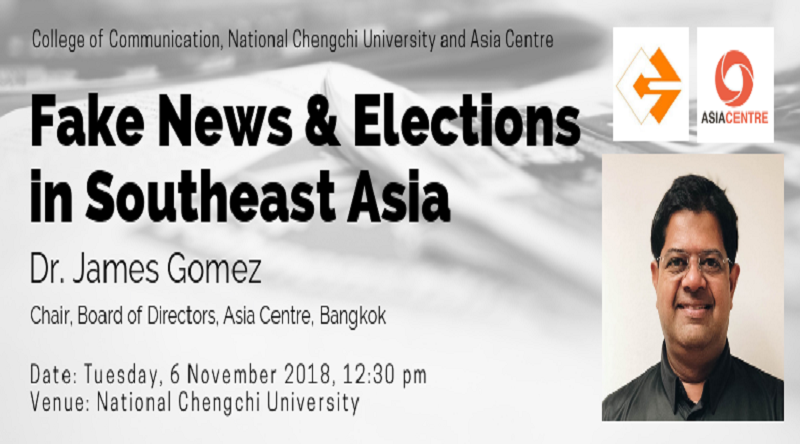 Asia Centre’s Dr. James Gomez will be speaking about Fake News & Elections in Southeast Asia” at College of Communication, National Chengchi University in Taipei on Tuesday, 6 November, at 12.30 pm. Learn more at our event page: http://bit.ly/2JlJYgc.